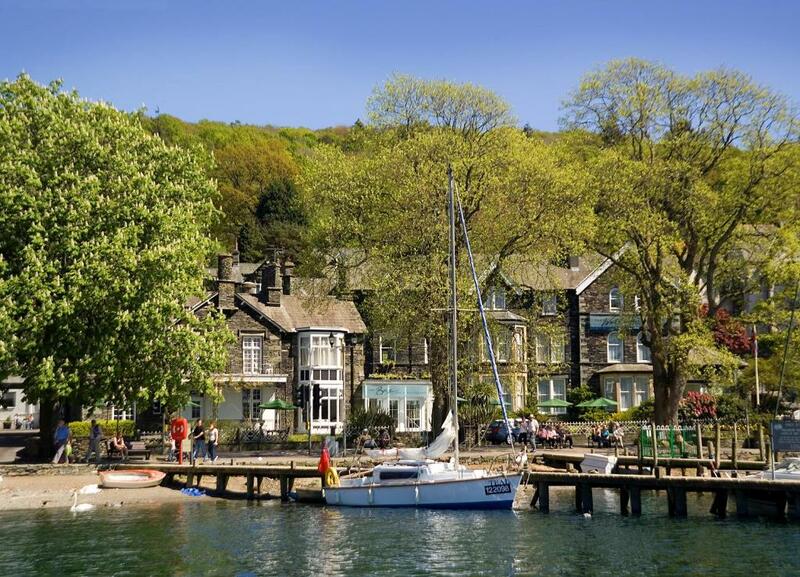 Lock in a great price for The Waterhead Hotel – rated 9.2 by recent guests! The staff were very friendly and helpful. 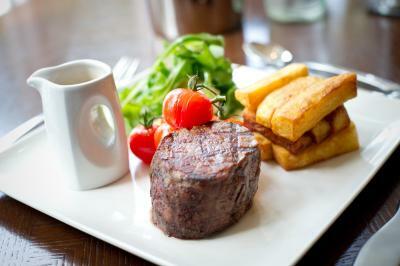 The food was excellent in all respects and the room was wonderful. Friendly staff. Great meals. Excellent view in room and in dining room table. Staff was extremely helpful, and gave us a much-appreciated handicap-accessable room with convenient parking. Restaurant and bar very nice. Setting on Lake Windermere beautiful. Staff were very helpful and pleasant. The hotel was immaculately clean and very comfortable. Lots of little extras. Great location, lovely hotel room and nice general feel about the hotel. 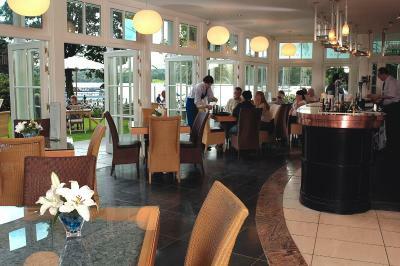 We stayed in the Lake District with our six person family at the Waterhead Hotel and think it was a great choice. 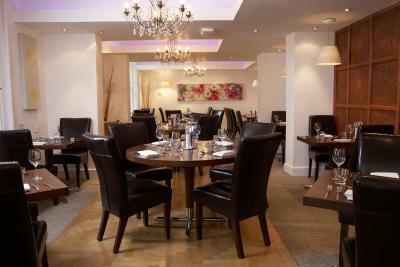 It came with full English breakfast, the beds were very comfortable and they had great staff. the kids could go out hiking and the town of Ambleside was a 1/2 mile walk. But the location cannot be beat, right on the lake. Lake side location. The hotel and room were modern inside, but the outside blended nicely with the surroundings and kept an older décor. Approach the hotel from the south and turn left just before you arrive. There is parking behind the hotel on its lakeside. The Waterhead Hotel This rating is a reflection of how the property compares to the industry standard when it comes to price, facilities and services available. It's based on a self-evaluation by the property. Use this rating to help choose your stay! Next to Lake Windermere, the stylish Waterhead Hotel offers free spa passes, an AA-Rosette restaurant and elegant rooms with free Wi-Fi. Ambleside is just a 10 minute walk away. The spacious rooms each have a flat-screen TV/DVD player with satellite channels. The modern bathrooms feature free toiletries and fluffy bathrobes, and many rooms offer lake views. 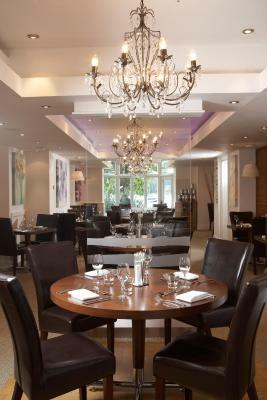 With colorful art and mood lighting, Waterhead Restaurant serves a creative British menu and traditional cooked breakfasts. There is also open-air dining. Guests receive free passes to the Low Wood Leisure Club, which has a fully equipped gym, racquetball courts and an indoor swimming pool. There is also a relaxing sauna and hot tub. 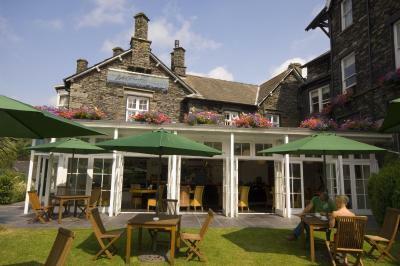 Waterhead Hotel is surrounded by the Lake District's popular walking and cycling routes. 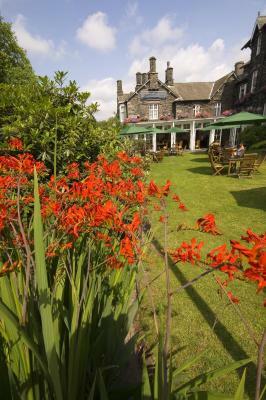 There is free on-site parking, and Wray Castle and Windermere are just a 10 minute drive away. 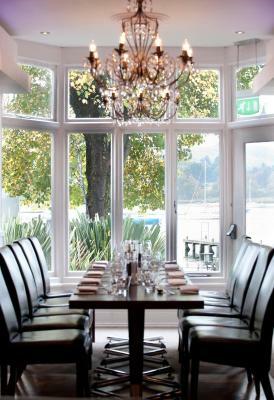 When would you like to stay at The Waterhead Hotel? 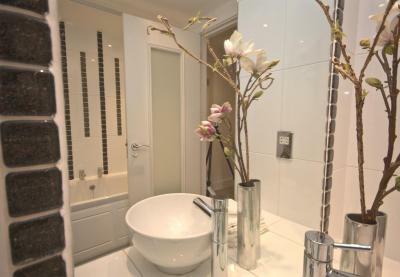 Light and spacious twin room with fully-equipped modern bathroom. 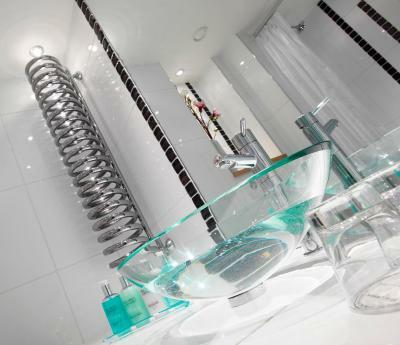 Light and spacious double room with fully equipped modern bathroom. Spacious room with views of Lake Windermere. 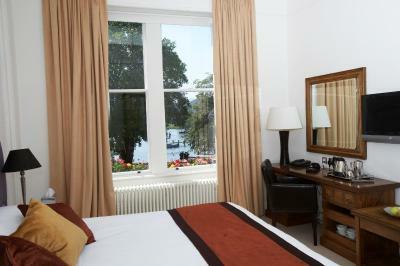 Large room with luxury bathroom and impressive views of Lake Windermere. 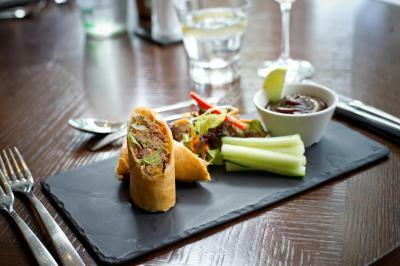 House Rules The Waterhead Hotel takes special requests – add in the next step! The Waterhead Hotel accepts these cards and reserves the right to temporarily hold an amount prior to arrival. Extra beds: Are only allowed in the House rooms only and are subject to availability and by prior arrangement only, extra charges apply when adding another person / child. Pet Policy: A maximum of 2 dogs are accepted in a room, charged £20.00 per night. Please note that guest leisure club passes for the Low Wood Bay and Leisure Club will not be available until mid May, as the Low Wood Bay is undergoing renovation. The bed was superior and room was so spacious... loved it! Meals excellent, if a little on the expensive side. Staff friendly. 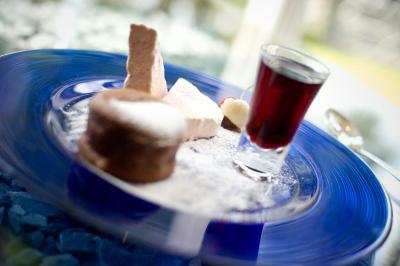 Lovely staff, great location, gorgeous food. The rooms aren’t sound proof, so if you are unfortunate enough to be next to a crying child in the next room (like we were) you will hear them all night. Great location, comfy rooms, lovely freebies. I found it difficult to access the WiFi and at times the room was too cold . My mother and I had to ask for blankets. Sounds silly but i didn't realise you had to pay for the newspapers. There was no lift which could have been a problem for my mother. She coped very well with the stairs. 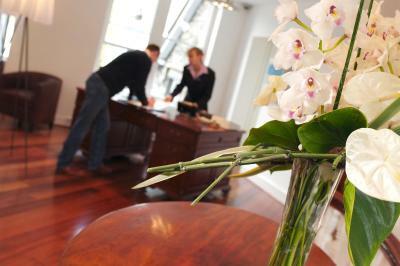 The location is excellent and the staff were extremely helpful and friendly. We were more than happy with the food it was amazing. We ate from the bar menu and the evening menu as well as breakfast. The choice and variety of food on offer is very good. The bed was really comfy. We’ve stayed here before and it doesn’t disappoint. Catch the bus just outside the hotel into Ambleside or cross the road to catch a ferry to Windermere it’s ideal. You must try the ice cream dipped in chocolate from cafe opposite it’s delicious. Lovely hotel in stunning lakeside location. Excellent service. Location. Car parking. Quiet. It accepts pets. The leisure facilities were not on the same site. Very comfy bed. Staff very friendly. Spotless throughout. The staff weren’t as attentive as usual. Had to wave bar staff over to order another drink, didn’t realise when our glasses were empty. Steven who was front of house the last 2 years was amazing and sadly missed. New guys seemed to just run around doing nothing.